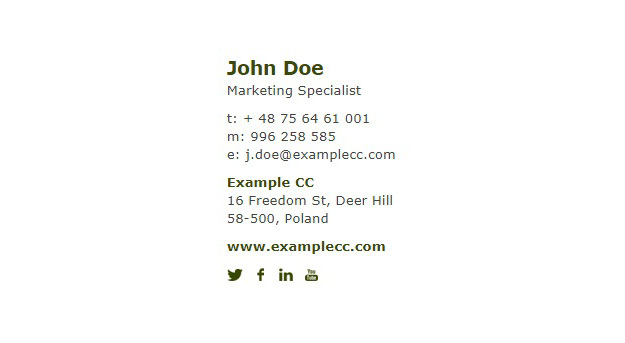 The simple and clean design makes this signature a perfect choice for companies of all profiles and sizes. It can serve as the main email signature for small to medium companies or as a signature for replies and forwards for big-size corporations. You can open it for editing in Signature Generator (click the Edit signature button) or download it directly to your computer (click Download signature).